Reality Tbd. runs this Friday and Saturday at Kaneko. This Friday and Saturday at Kaneko filmmaker/rock star Nik Fackler (Icky Blossoms, InDreama) and tbd. dance collective are trying out a new way to experience film. Or maybe I should say “a more immersive way.” You’ve heard about breaking the fourth wall? Fackler wants to crush it. 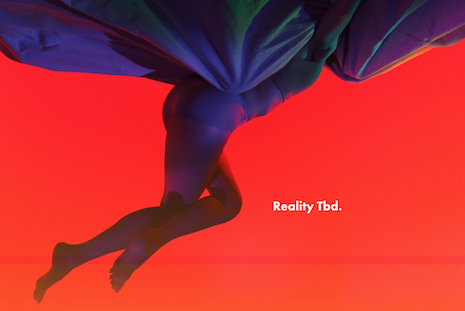 The project is called Reality Tbd. and marks the world premiere of Nik’s new film Waiting for Reality. It’s going to work like this: The audience will be seated inside Kaneko’s auditorium, which will be separated into four spaces. Nik’s film will be projected on one wall, and at some point in the film, the other walls will come to life with light and dance. Fackler has created a unique, synchronized lighting experience that augments the film., while the tbd. collective will literally jump off the screen. If that wasn’t enough, the soundtrack is provided by Graham Ulciny (Thick Paint, Icky Blossoms, The Faint), who’s produced five original pieces for the performance. Nik said the idea was born out of exploring the use of lighting at Icky Blossoms shows. “I asked myself, ‘How do I bring this into film making and cinema?’ It’s an experiment for sure,” he said. Ultimately, the audience will help fill in the story’s blanks. “We wanted it to be vague enough where the audience can project their own storyline by taking what’s going on in their lives and projecting it onto the characters” Nik said. He said the project began with a script in June. The four-day film shoot took place at five or six locations. The finished film is about a half-hour long, but the entire performance runs from 45 minutes to an hour. Ultimately, the audience (limited to 100 per performance) will have a unique experience from their specific quadrant. This is the first time Fackler has tried this bold experiment, and he’s already talked about trying the screening/performance in other cities after this limited 4-performance engagement at Kaneko ends. There are two performances of Reality Tbd. Friday and Saturday. Tix are $10. Go to tbddancecollective.org for details. Read more about Fackler and a past Kaneko project here. 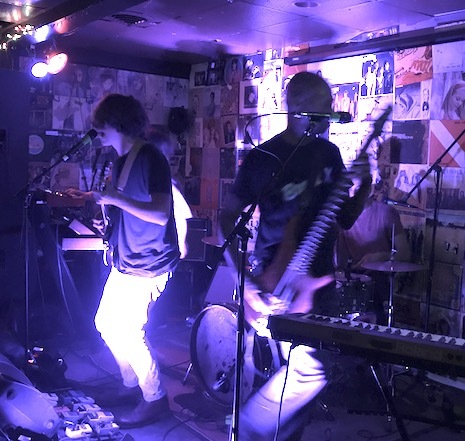 InDreama at O’Leaver’s May 18, 2018. Friday night felt like a “happening” at O’Leaver’s — a live show on stage and DJs on the patio. It was a wild, fun night. The music kicked off with a set from InDreama, Nik Fackler’s psych-rock project which hasn’t played live in a couple years. Something indeed has changed over that time as the band never sounded so ferocious. So intense was the set that the music from the band’s debut album felt re-imagined, with Fackler slaying on lead guitar and vocals. Why they’ve been hiding all this time is a mystery. A big part of the groovy vibe was supplied by the crowd, which was hyped and eager and very responsive. This would prove out next when .tbd dance collective took the stage. .Tbd Dance Collective at O’Leaver’s May 18, 2018. I wasn’t expecting much, considering the rather small and grungy confines of O’Leaver’s. The collective would have to come up with something creative to make this space come alive, and they did. 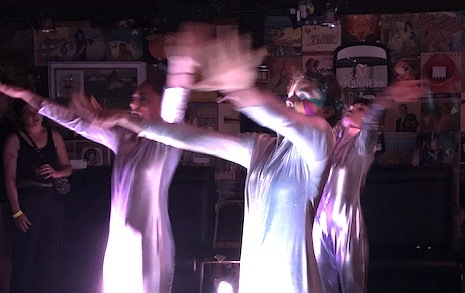 A trio of dancers, which included Fackler’s wife, Kat, walked out in formation dressed in shiny silver skin-tight jumpsuits and grabbed the audience with an interpretation of David Bowie’s “Girl Loves Me” off Blackstar that concluded with them ripping off their suits. They were joined by the rest of the collective for a couple more routines that fell together seamlessly from song to song, concluding with a frenetic interpretation of Todrick Hall’s track “Dem Beats” where the crowd was invited to join in a communal dance that became a celebration. It was a high point of the evening. Closeness at O’Leaver’s, May 18, 2018. 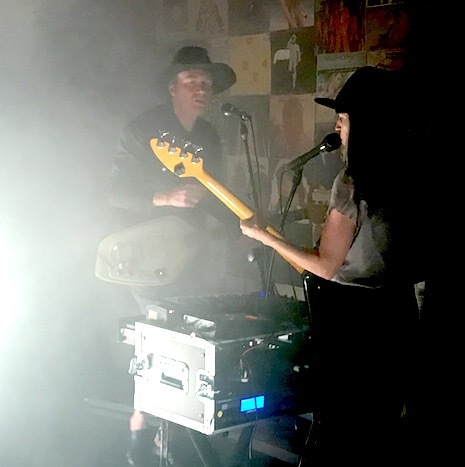 Finally Closeness — Todd and Orenda Fink — closed out the night with a set of their usual driving electronic rock. The music was as dense and ponderous as the heavy clouds of smoke that billowed from the floor between songs. I was thinking while listening that Closeness is a natural extension to what Todd did in The Faint married with Orenda’s unique style. Friday night’s show seemed to rely more on Todd than Orenda at least vocally, though both were in fine voice.